Officielt release d. 02/11-2018! De vil være en hver krone værd! 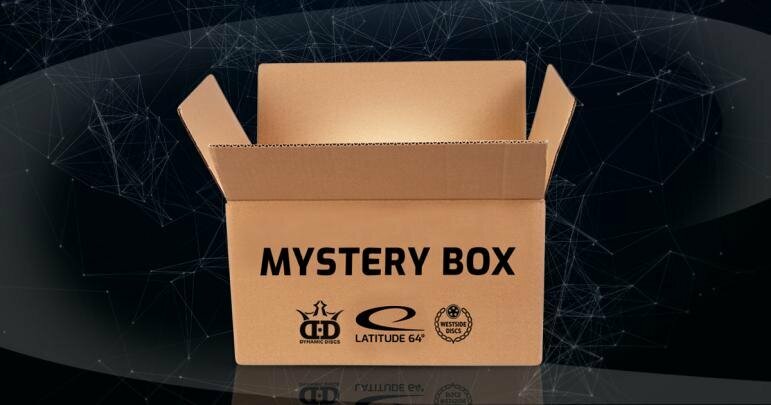 Latitude 64° Special Mystery Boxes are here. Each box includes 9 discs and some extra items. All boxes will include at least one disc from each brand, Latitude 64°, Dynamic Discs and Westside Discs. We can’t reveal anything more about these boxes without spoiling what's inside, but they will be worth every penny. Judge junior er en mindre udgave af den populære golf disc Judge. Masser af sjov inde og ud. The Junior line of discs are a ton of fun to throw. Junior Truth er ikke kun sjov men en mulighed for de små i familien at deltage!